Texas Hold’em is a poker-based card game that involves a community card pile, betting procedures (antes) and ten different card combinations. It requires a huge amount of attention to detail, bluffing or tricking of other players at the table, strategy, skill and ultimately patience. It is played with a standard 52-card deck and pits the player against other players both at live games and at online game tables. Specifically, when at a casino, the player can also play Texas Hold’em “video poker” which only pits the player against an invisible dealer. 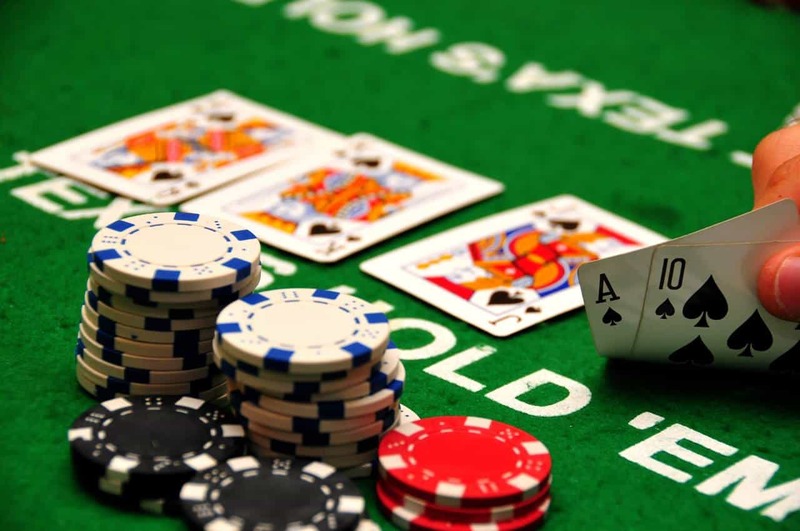 According to Texas Legislature, the game originated in Robstown, Texas where it was simply known as “Hold’em”. It did not leave the Texas borders until 1925 and when it did, it was only offered at the Golden Nugget Casino. In 1970, a man named Benny Binion invited six high-rollers to play in a tournament which ended up being massively popular among the public. Why Do People Play It? It requires a lot of skill, so when you out-bet, out bluff and outsmart your opponent, it feels really good. Adrenaline is a big part of the game. It helps the player build self-control and patience. It also teaches you how to read other players and hold back your own emotions. This, in turn, allows you to develop how to judge someone’s character by just watching their card hands and strategy. You will always be able to get better at the game. It is very hard to master, it is challenging and requires you to improve consistently. You can go to a casino and play at live tables, play video poker or even play at online tables. Finally, although the game does pit one player against another in competition, there is a sense of comrade between players which builds a sense of community. What Role Does it Play in Canada? Poker specifically has flourished over the past few decades as many famous poker players hailing from Canada have won many large events around the world. For instance, in 2010 the main event of the World Series of Poker was won by French-Canadian Jonathan Duhamel, the first Canadian to secure the main event. Other famous players, such as Mike Watson and Shawn Buchanan have also won many tournaments around the world. Because of these famous players, poker has gained massive traction in Canada, with many websites garnering their poker websites towards Canadians. An example of this is PokerStars.com, one of the largest poker sites in the world, allows Canadians to play and withdraw in Canadian currency. You can play hold’em poker online on Betway, 888 casino, AllSlots and others, mostly live-dealer game way. The basics of the game includes five relatively easy steps to understand. The first step has two face-down cards dealt out to each player, these are called hole cards. Once these are dealt, there is a round of betting. During this betting period, a player must match the “big blind” ante or if the ante has been raised, match that, if you want to see the flop. Step two sees the flop dealt, where three cards are dealt face up as community cards. There is a second round of betting after this as most of the information has been revealed by this point. Step three sees a turn card dealt after players have bet on the flop. This is the fourth community card, which sees another round of betting. During the last two rounds (the turn and the river card) the bet limits go up. Step four sees the river card which is the fifth card dealt to the community pile. One final round of betting is done and then the winner is determined by the dealer. Step five happens if there is only one player left, called a showdown. This is when a player wins the pot by default because everyone else has folded. There are three options presented to the player at every bet point. The player can either call the bet (matching it), raise the bet (causing the other player to either re-raise or match it) or fold (not put in an ante or match a raise). A good poker player will know when they have a bad hand and fold it as to not waste their stack of chips. There are ten card combinations: high card, pair, two pair, three of a kind, straight, flush, full house, four of a kind, straight flush and a royal flush. If you flop an open-ended straight you will hit your straight on the river, 31.5% of the time. When two pairs go head to head, the bigger pair will win four times out of five, or 80% of the time. This is important because if someone bets, raises and re-raises you, they more than likely have a big pair. If you have two pair on the flop, your likelihood of making a full house is almost 17%. The more you familiarize yourself with the odds, memorize what has come up and watch how individuals are betting, the more hands you will win just from improving your knowledge and overall critical thinking.